St John's is delighted to welcome the Fulham and Hammersmith Choral Society, when they will be giving their summer concert, making full use of the recently concluded ambitious repair and restoration of the historic grade II* listed organ. The programme has been inspired by this restoration project and will include Haydn's Te Deum for Empress Marie Theresa, a cheerful choral drama in three parts. As a contrast, they will also be performing Andrew Wells' Te Deum, first performed in 2012 which makes great use of the organ in the opening and closing organ obbligato. They return to Haydn for his Missa Brevis Sancti Joannis de Deo, a short setting of the Mass from the 1770s with a delightful organ solo in the Benedictus which has earned the piece the nickname 'Little Organ Mass'. The concert concludes with Vaughan Williams' Five Mystical Songs, his early 20th Century setting of George Herbert's four poems entitled 'Easter' which ends with the rousing Antiphon 'Let all the World in Every Corner Sing'. 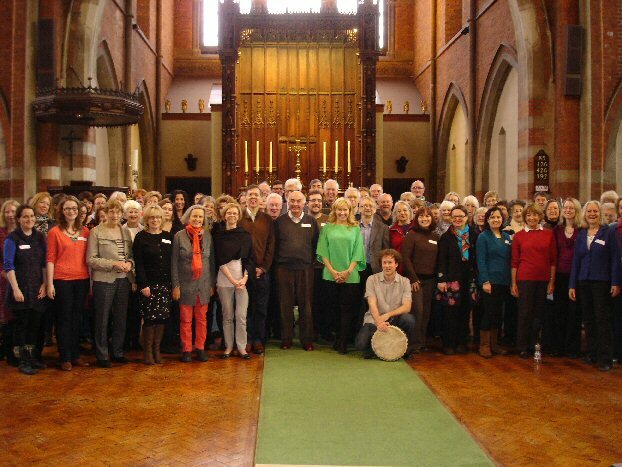 The Fulham & Hammersmith Choral Society is an amateur choir based in West London. FHCS was formed in 1951 and has grown into an ambitious 100-strong choir. Membership is open to anyone with or without choral experience. They aim for high standards, and of course strong singers are always valued – but you don’t have to be able to read music, and there are no auditions. The age range of members stem from 20 to over 70 so there is room for everyone. If you’re not sure which voice part you are then Christopher Wray, the Musical Director, can help you with this. 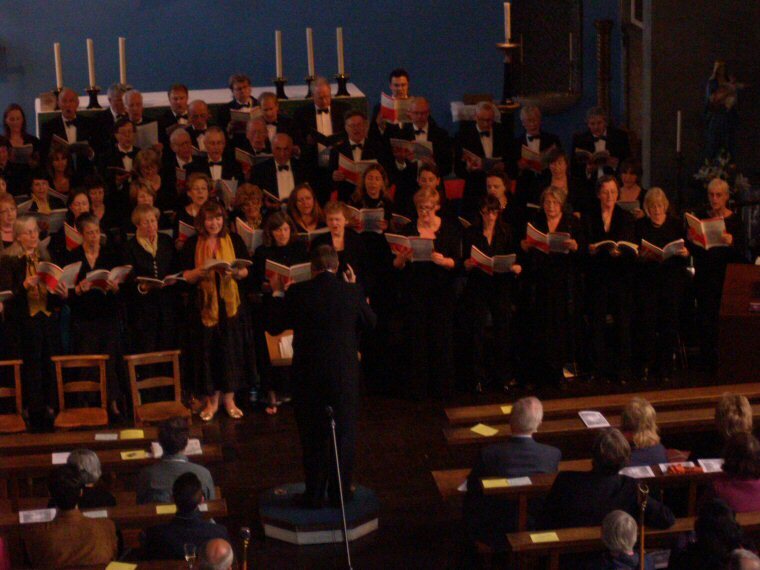 The Choir performs three public concerts each year, at Easter, in the Summer and at Christmas. They also support the local communities by singing at various events and this includes raising funds for charities. St John's is delighted that FHCS are singing with the restored organ, and is thrilled to be part of the vibrant west London music making and singing scene.